Michael Huff signs 3 year deal to replace Ed Reed at safety. The start of NFL free agency wasn’t kind to the Baltimore Ravens. They lost LB Dannell Ellerbe, LB Paul Kruger, then both Safeties in Ed Reed and Bernard Pollard. All of this with the retirement of Ray Lewis meant the defense would see a dramatic makeover. Yesterday they signed former Raider S Michael Huff just days after landing DE/OLB Elvis Dumervil. You can hear the “ahhhs” coming from the Raven fan base that there is life after Reed and Lewis. The question is did they get better?? Well upon further review… In Huff you have to measure his projected production vs what Ed Reed would have brought to the table. First things first they signed him for $6 million over 3 years where Ed commanded $15 million from the Texans. They did get younger by 5 years going with Huff but they’ll need him to be more productive than he’s been. In 7 years he has averaged 58 tackles and only has 11 career interceptions. Reed had 15 in the last three years and 4 last year alone. In some circles he has been considered a bust after being drafted so high out of Texas. He averages 8 passes defensed per season and needs to make more tackles. In that department Reed had 15 passes defensed in 2012 and averaged 12.5 per season. He has to show improvement and that is hard to do when learning a new system. He will probably be teamed with a rookie unless an experienced SS comes available later before the season starts. They signed a veteran safety but our CEO doesn’t think they improved the position. Elvis Dumervil provides primetime pass rush that even Terrell Suggs didn’t offer in 2012. 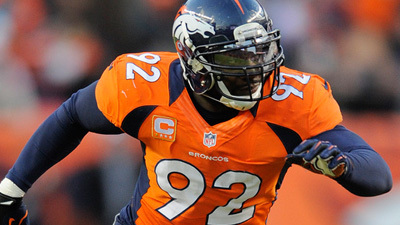 With the signing of Elvis Dumervil, GM Ozzie Newsome has pulled a coup. Not only did they rip the Broncos for one of the league’s best pass rushers, they took a defensive captain from a conference rival. What do you think that “C” means on his jersey. Don’t forget he’s only going into his 8th year, has been to the last three Pro Bowls and is just two seasons removed from a 17 sack season. They saved $5 million in signing him v. Paul Kruger, whom has to live up to his contract and hasn’t been a full time starter yet. Dumervil is just in time to aid a Terrell Suggs who should be back to full strength and needs a bounce back year. Coming back from an Achille’s injury he was a shell of his former self. It might be ironic that his best game of the season was the 2 sacks he had against Denver in the playoffs with Dumervil watching. Now its reported that Suggs helped recruit Dumervil and has a proven running mate to crash the pass pocket. Elvis is going into his 8th year and has averaged 10.5 sacks in his first 6. Which is good until you realize how good he was last year. 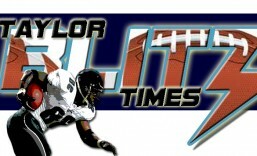 He was a force across from Von Miller and had 11 sacks but more important 6 forced fumbles. He’s not only going to be able to duplicate the pass rush with two guys on the corners, there will be Haloti Ngata providing a push up the middle. He’s also reuniting with linebacker coach Don Martindale, who coached in Denver when Dumervil came into the league. He’s already played in a 3-4, is familiar with the coaching staff and has an effective pass rusher on the other side, this was a dramatic upgrade that should affect the overall defense. 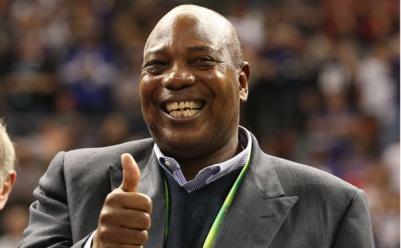 You can hear GM Ozzie Newsome saying quietly “I got this” can’t you? What Ozzie is hoping for is the improved pass rush to affect Huff in being a better center fielder as a safety. However there is a wait and see aspect to this because it hasn’t translated into better performance yet. 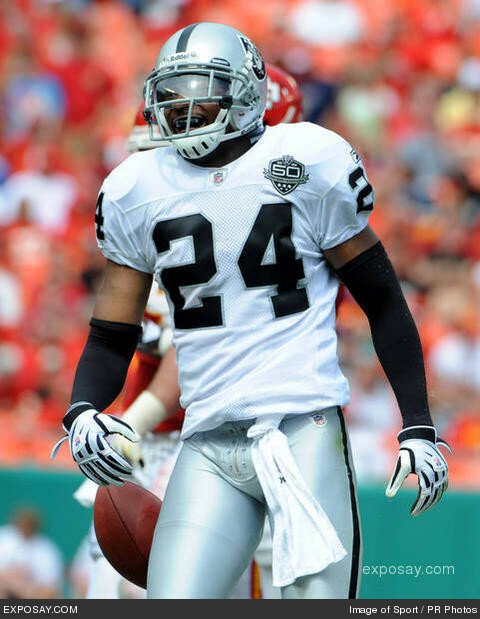 In 2010, the Oakland Raiders were 2nd in the NFL with 47 sacks and he only had 3 interceptions. Last year they were 31st in sacks with 25 and he had 2 picks. However he can benefit from the standpoint of more crowd noise and Baltimore having more leads which forces opponents to pass. Let it be known that Dumervil will draw the initial double teams and if Suggs returns to form, this could be a sack machine in 2013. Haloti in the middle and these two from the outside and don’t forget they picked up Chris Canty and Marcus Spears to possibly emerge as a DE who can provide support. This can be a 40 -45 sack team in 2013. The question remains who they have at the inside linebacker position. However now you get a sense that Ozzie might have something up his sleeve. Which leads to a question… Having built two different Super Bowl winners, is Ozzie Newsome the best General Manager in the NFL?? This entry was posted in 2013 Team Previews and tagged American football, Baltimore Ravens, Elvis Dumervil, football, Michael Huff, NFL, NFL Free Agency, NFL transactions, Ozzie Newsome, sports, Terrell Suggs. Bookmark the permalink. ← 2013 Atlanta Falcons Preview – Did They Let Their Super Bowl Window Close? With so many new faces don’t you think there will be some growing pains as they learn to adjust to each other? I do see that as well… The team needs to forge a new identity. New leaders…etc I see them struggling to find their sea legs early in the new season also.